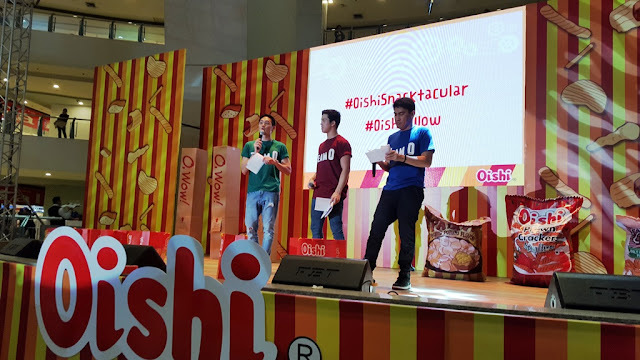 I attended my first Oishi event last year, here http://lemongreenteaph.blogspot.com/2014/02/my-oishi-owow-moment-with-daniel-padilla.html. 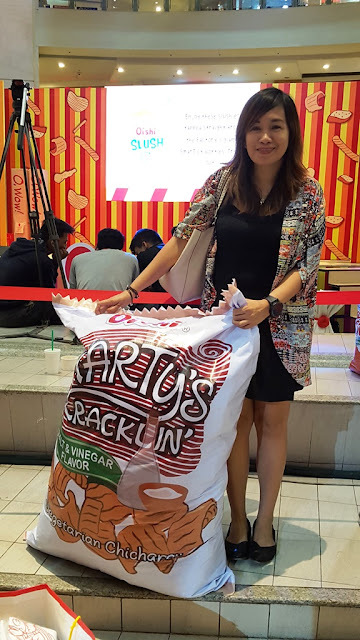 It was I tell you the happiest and most fun event that I have attended, because Daniel Padilla reignited the fan in me, and that was the day I discovered Oishi's Oaties milk and Choco Chug, which I have been buying from the supermarket and instantly became my breakfast staple. 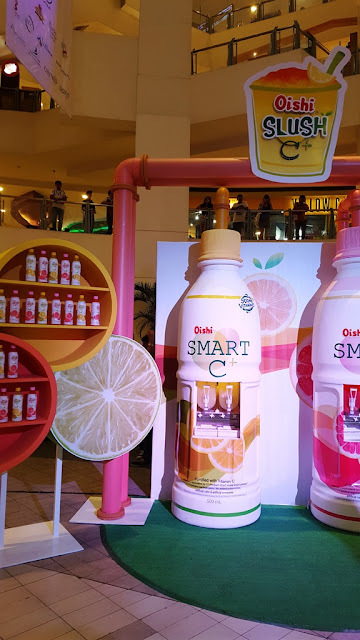 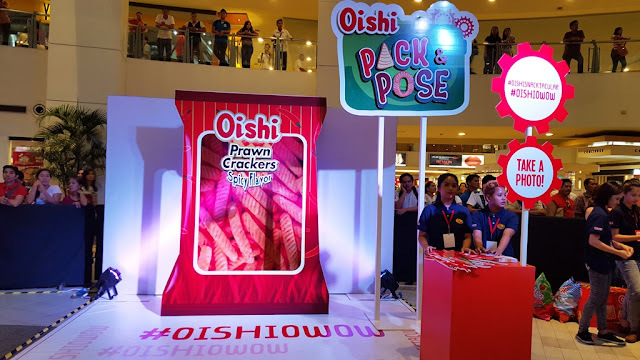 Fast forward to today, when I heard that an Oishi Snacktacular event is coming up first week of August, I cant contain my excitement, I have to attend this and have to witness what the Oishi O Wow Snacktacular will offer, this time in public at The Trinoma Activity Center. 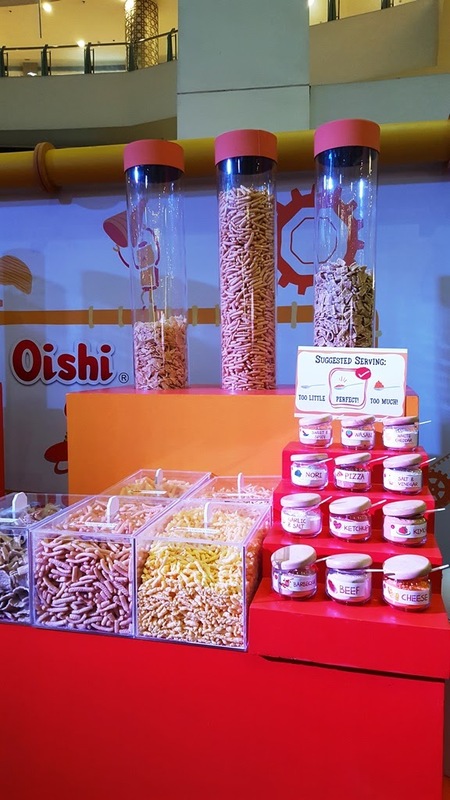 When I saw the Oishi Snack Catcher situated right in the middle of the activity center, I just cant wait to put my harness, dive, jump and grab all the snacks that awaits my short arms. 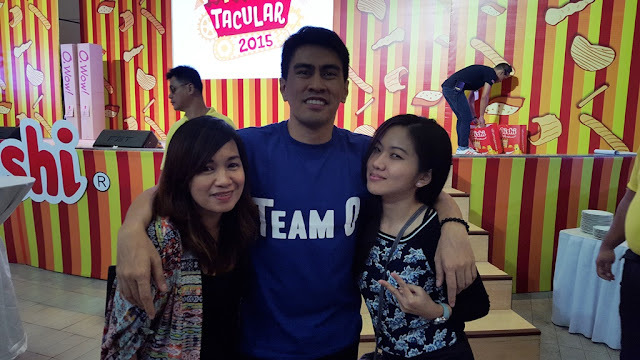 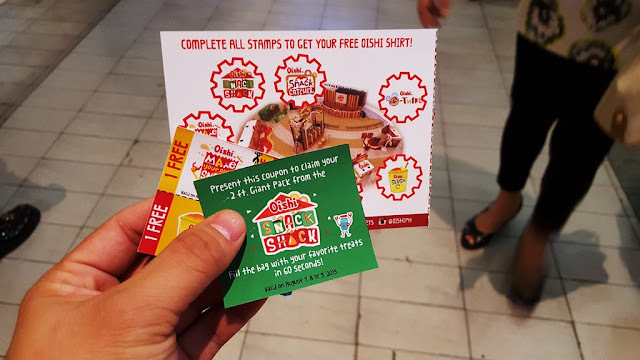 I got to try the Oishi Snack Shack first with fellow bloggers Earth Rullan and Marjorie Uy. 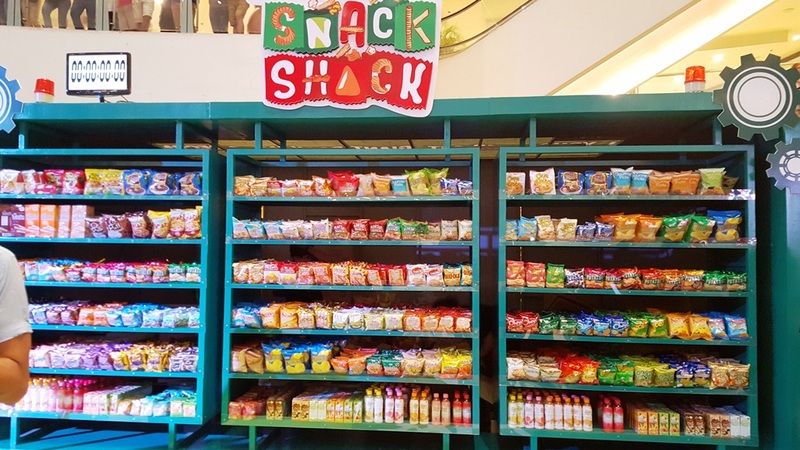 I got my eye on the Wafu Creamy Leche Flan rolled wafer, choco chug and oaties milk and choco crunch snacks. 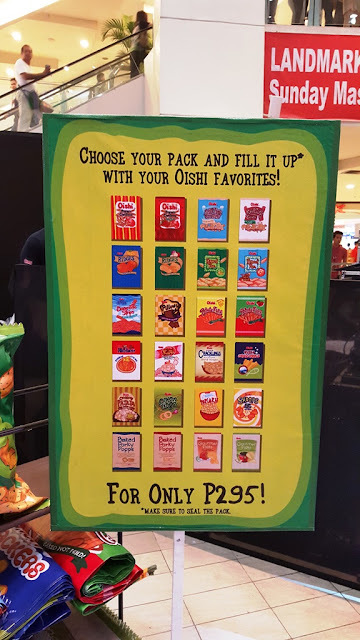 In a span of 60 seconds, we went crazy grabbing everything and tried to put all the Oishi goodness inside the 2 ft. Oishi bag. I should have gotten 2 bags. Exhausted from all the madness mini shopping, I treated myself to the Slush-C booth and a special soft-serve sundae made from Oishi Choco Chug Chocolate Milk Drink and filled it up with my favorite Oishi toppings! What better way to enjoy your weekend by visiting the Oishi Snacktacular 2015 at the Trinoma Activity Center with your family. 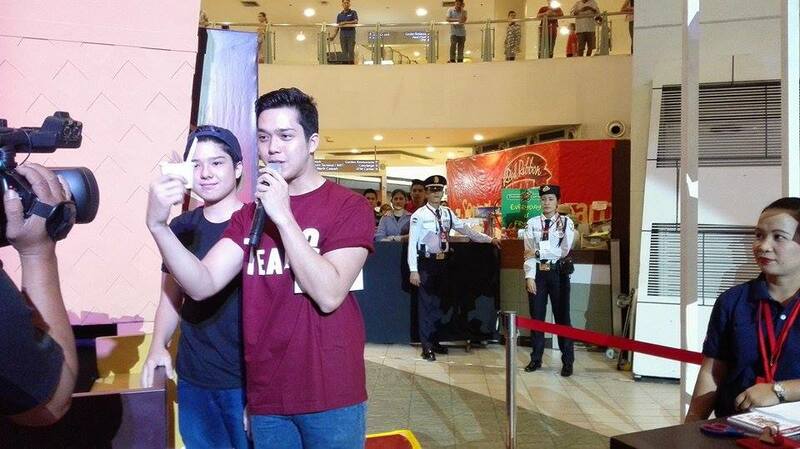 The Oishi Snactacular 2015 opened up yesterday August 7, with Oishi Ambassadors Elmo Magalona and family, Slater Young, Ramon Bautista with celebrities Christine Patrimonio, Kean Cipriano. Oishi lovers were treated to three-day event filled with a bevy of surprises. 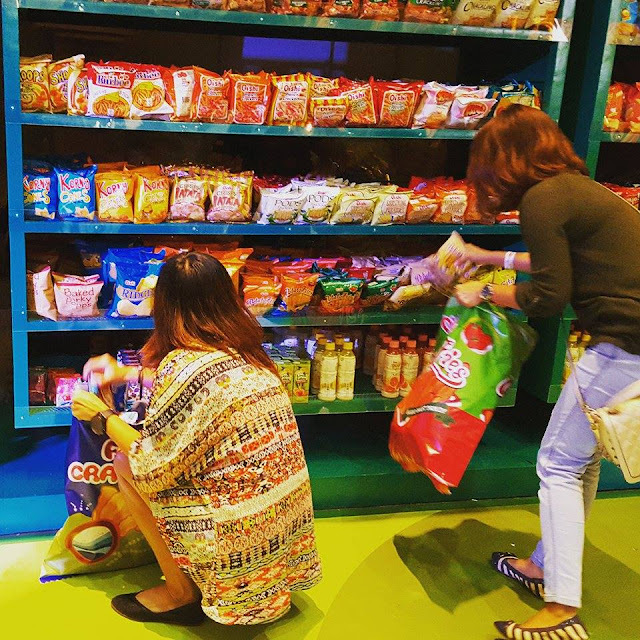 Giving everyone the opportunity to roam around the Trinoma Activity Center, customers enjoyed all sorts of activities and treats. An exhilarating and creative field of play, this event boasted some of the most unique and simply O, Wow activity booths for family and friends to enjoy! 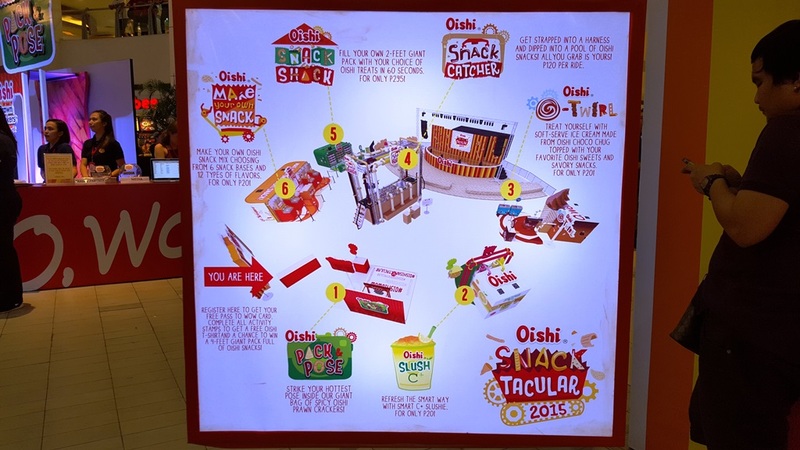 At the Oishi Snack Catcher, participants were strapped into harness and dipped into a pool of Oishi snacks for them to grab all they can. 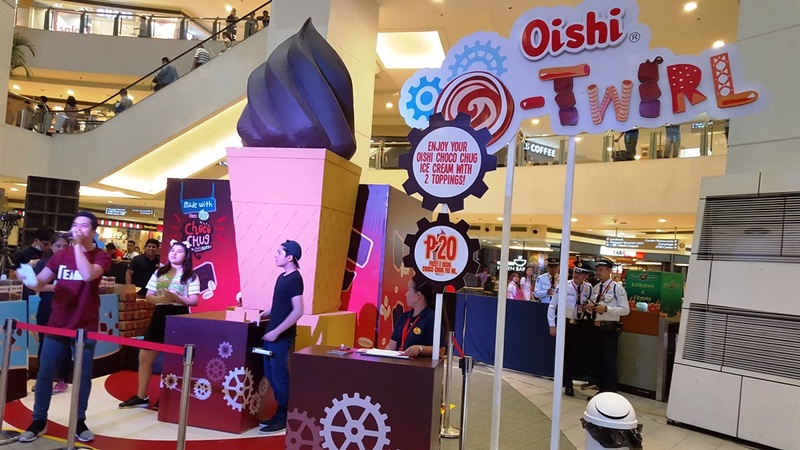 While some had their thirst quenched with Oishi’s very own Smart C+ slushies at the Slush C+ booth, others had their sweet tooth satisfied with a special soft-serve sundae made from Oishi Choco Chug Chocolate Milk Drink topped with their favorite Oishi sweet and savory treats like Oishi Pillows, Wafu Leche Flan, Gourmet Picks Potato Chips and Marty’s Baconette Strips. Other participants got to create their own personalized bag of Oishi at the Make Your Own Snack area where they picked out from a selection of Oishi chips to go along with different flavors such as cheese, barbecue and nori. Keeping up with fun and games, guests at the Snack Shack ran around to fill up their limited edition 2 ft. Oishi giant pack with all their favourite Oishi snacks and beverages in 60 seconds. 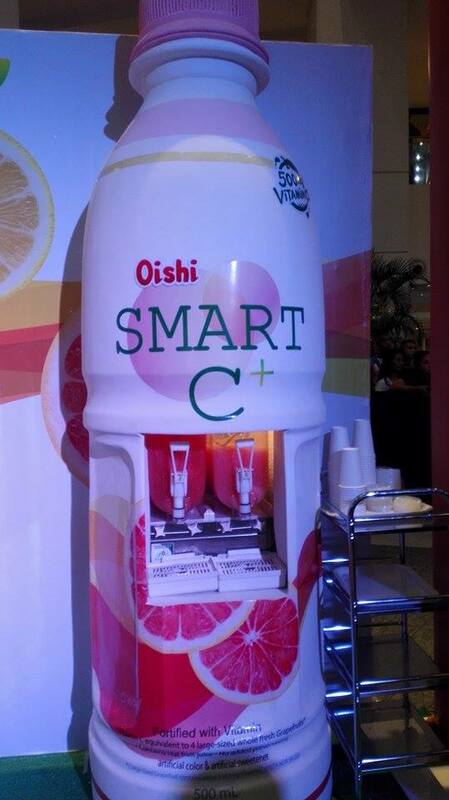 Another surprise were the special celebrity guests who were the servers at each Oishi station. 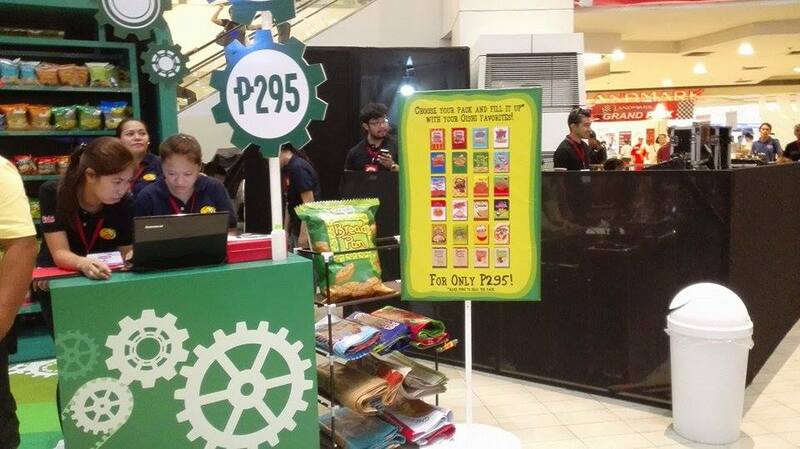 Now that’s some kind of special service! 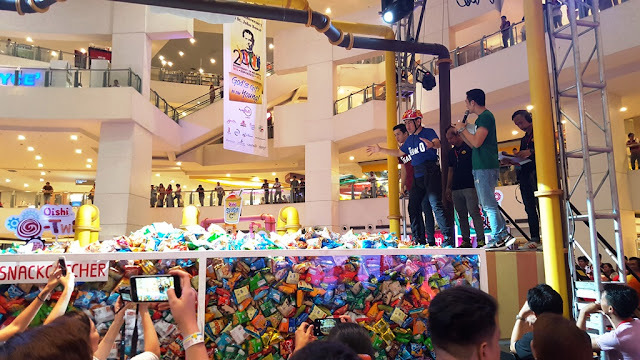 One of the highlights was having Alex Gonzaga, the latest member of the Team O barkada to join the current line-up of Elmo Magalona, Kathryn Bernardo, Slater Young, Ramon Bautista and Daniel Padilla who all effortlessly turn up the O, Wow factor for their fans and Oishi lovers.